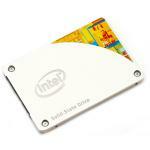 Intel 530 Series OEM SSDSC2BW480A401 480GB Expert Reviews - Read Reviews and Buy Smarter Online. Verdict: Intel is updating its line of enterprise-class solid state storage offerings today, with a new more cost-effective drive that targets datacenter and cloud-computing applications. The Intel SSD DC S3500 as it is known, is similar in a number of ways to the SSD DC S3700 we evaluated a few months back. Verdict: Hi guys SSD is best for main drive... for storage you can choose a Hard Drive. But for your main drive i.e. for OS and Software's installation drive you should better choose an SSD.